Simple, but useful! 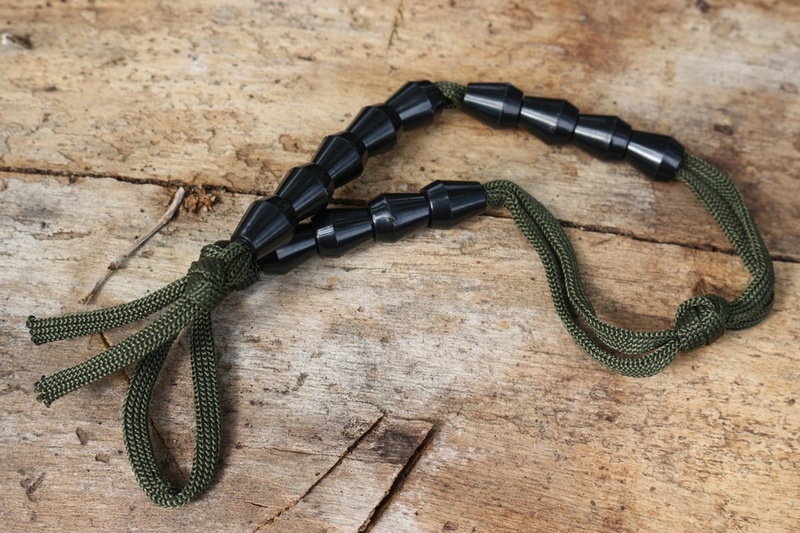 essentially just a string of beads (cone shaped to grip the cord) that can be moved at every measured pace, therefore allowing you to judge your travelled distance. Very useful when determining your distance from a known point and therefore to judge how long to return to this point or to move on to another. They are useful for judging journey times, if you know your distance travelled and the time it took, you can work out your speed and therefore calcualte your end point ETA. This also allows you to advance or retard your pace to particular meeting 'time and place'. 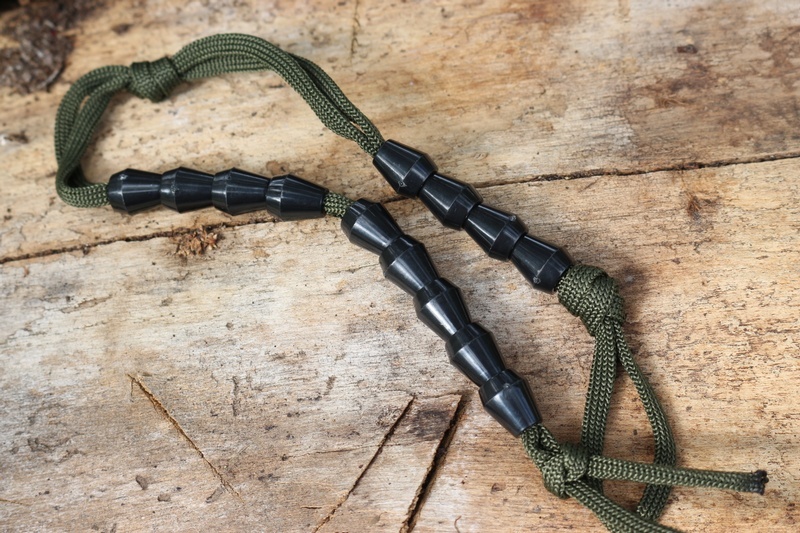 Also useful when searching, to cover prescribed distances and to demarcate unknown distances, to visable points. Purchase through PayPal by using the "Add To Cart" button above or use the form below to order the Pace Counting Beads . 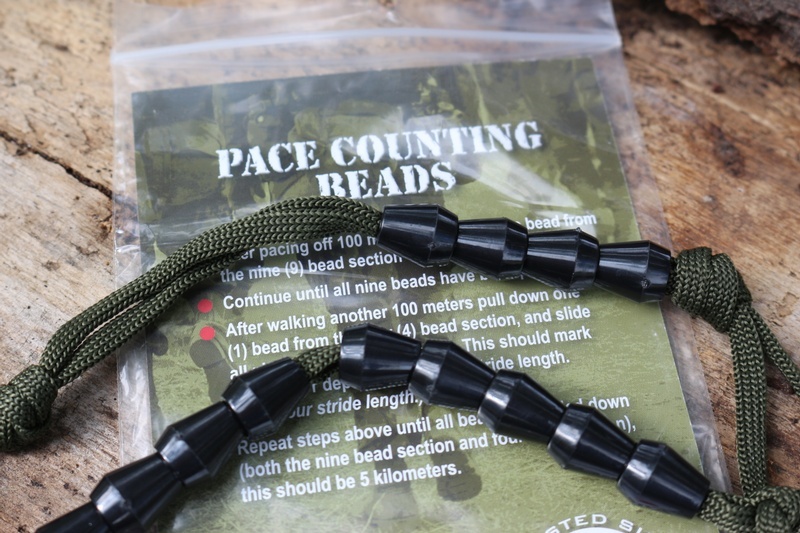 Feel free to contact us if you have any questions about the Pace Counting Beads .